The inscription reads Georgius IIII. 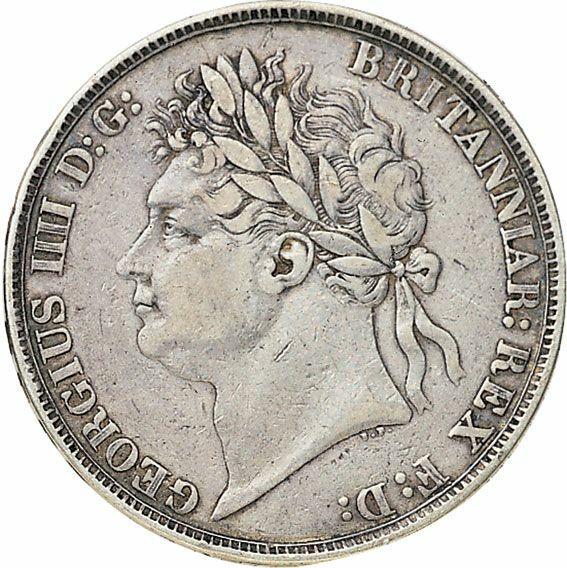 George IV was the last British King to be shown wearing the Roman Style Laurel Wreath. 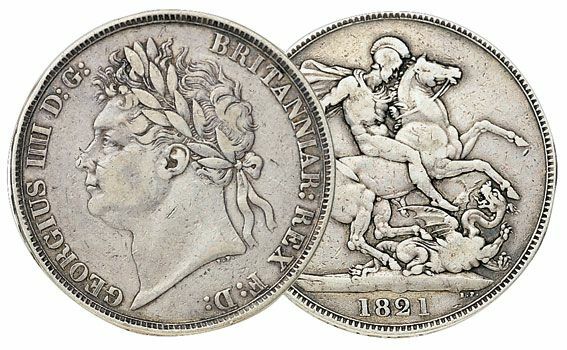 George Augustus Frederick became King on 29th January 1820 after the Death of his Father George III. George IV was know for his extravagant lifestyle, best known for his contribution to the royal fashion using expensive and foreign materials. He was the first monarch to order the renovation of Buckingham Palace, previously known as Buckingham House.